This is a portfolio of the best of Steve McCurry's photography, showing classical, magical and powerful images from South and Southeast Asia. McCurry takes photographs all over the world, for National Geographic magazine and his own projects, but it is the people, places, colours and forms of South and Southeast Asia that Steve has found most inspiring. It is in Afghanistan, India, Sri Lanka, Cambodia and Mynamar (Burma) that McCurry has captured his most sublime photographs to create images that transcend their original editorial purpose to become timeless classics of our era. South Southeast features 69 photographs, each one with a full double-page spread to itself. 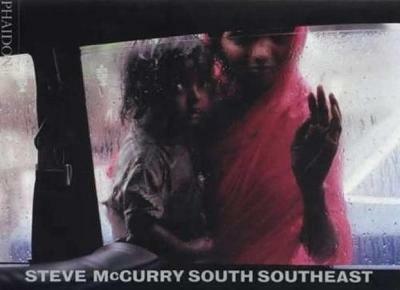 Introducing the book is a succinct text about McCurry, and accompanying the photographs are brief captions. Eight of the photographs are accompanied by short texts written by McCurry himself, telling the fascinating stories behind the striking images. The National Press Photographers Association and the Missouri School of Journalism 'Pictures of the Year Competition' awarded this book First Place in the Best Use of Photography category. Steve McCurry (b.1950) launched his career as a photojournalist when, diguised in native garb, he crossed the Pakistan border into Afghanistan before the Russian invasion. His coverage won him the Capa Gold Medal given to photographers exhibiting exceptional courage and enterprise. Famous also for his work in Southeast Asia, his photographs are beautiful, uplifting and powerful. McCurry has worked for National Geographic magazine for many years and is a member of the prestigious Magnum agency.